Founded in 1952, Spokane Industries has grown to an international company serving customers across the globe. John C. Tenold founded the company as Spokane Steel Foundry to provide quality castings to local mines, ore mills, lumber industries and the construction industry. The foundry moved to the Spokane Industrial Park in 1965 where it remains today in an efficient, technologically advanced facility spanning 265,000 square feet. Spokane Industries is proud to be a second generation family owned and operated company. In addition to the Tenold family owners, many on our team are second and third generation employees. 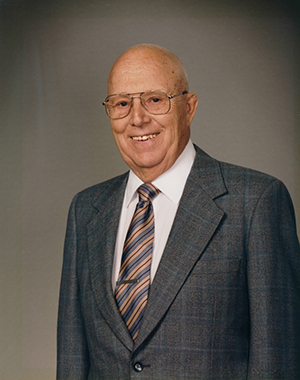 1952 John Tenold founded Spokane Steel Foundry to service regional mining, lumber and construction industries. 1970 Spokane Industries designed and built the Spokane Crusher, a high-chrome, high-impact crusher unequaled in the industry. 1978 Spokane Metal Products division was established serving military, agricultural applications and the beverage and water products industries. 1981 the company changed its name to Spokane Industries to best encompass the steel castings and Metal Products division. 1983 brought the sale of the Spokane Crusher fabrication business to focus our aggregate strategy on crusher wear parts. 1991 Spokane Precision Castings, the investment casting arm of the company, formed to serve commercial, medical, industrial and manufacturing applications.